“The California state budget on Gov. Jerry Brown’s desk puts tens of millions of dollars into programs that could help undocumented immigrants fight federal efforts to deport them,” the Sacramento Bee reports, “including opening up $10 million to hire lawyers for unaccompanied minors trying to stay in the U.S.” For that crowd, the Democrats’ $200 billion budget has even more to give. Last year’s budget “put $45 million into providing legal services to immigrants,” which the Department of Social Services deploys to “hire nonprofit organizations that will work on immigration cases.” The new funding “steers some of that money directly to colleges. It gives $10 million to community colleges for immigration legal services, $7 million to the California State University system and $4 million to the University of California.” Still, it’s not done. David Chiu, the San Francisco Democrat who wrote AB 430, explains that “Donald Trump’s out-of-control deportation force is constant threat to our immigrant communities.” While Trump Derangement Syndrome is doubtless a factor, taxpayers might consider the upcoming mid-term elections. 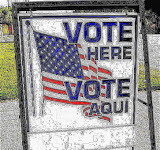 As the Los Angeles Times reported in 2015, California’s 2015 voter registration law “is intended to streamline the process of signing up to vote and encourage more participation in elections.” It kicks in “when people go to the DMV to obtain or renew a driver's license.” Politicians deny that anybody will be automatically registered to vote. “We’ve built the protocols and the firewalls to not register people that aren’t eligible,” secretary of state Alex Padilla told the Times. “At the latest, for the 2018 election cycle, I expect millions of new voters on the rolls in the state of California.” He got them. According to the DMV, as of March 2018, more than one million undocumented immigrants have received driver’s licenses. Did any vote in the 2016 presidential election? California Senator Dianne Feinstein denies that widespread voter fraud occurs and Alex Padilla refuses to release data from voter rolls. So legal residents and taxpayers have good reason to wonder what he is hiding. State legislators who take an oath to uphold the U.S. Constitution now reward the violation of immigration law, and punish those who approve and follow federal law. The largesse for illegals also violates state law, the 1996 Proposition 209, which bars ethnic preferences in state education, employment and contracting. California state universities privilege illegals with in-state tuition and as the budget shows, even pay their legal bills. Neither would apply to a legal African American or Asian American student from Michigan or Nevada. Senate boss Kevin de Leon also violated state law by giving preference to Mexican national Lizbeth Mateo, or whatever her real name is, for a post on the California Student Opportunity and Access Program Project Grant Advisory Committee. So California violates state law, defies federal law and budgets tens of millions of dollars for millions of illegals, the vast majority Mexican nationals. They get protection from the federal government, preference in education, and even payment of their legal bills. In return, they vote for California Democrats, in the style of Mexicans who vote for the dominant Partido Revolucionario Institucional (PRI) party in return for favors. In effect, California Democrats are a branch of the PRI and form a Mexican occupational government (MOGO) serving the interests of false-documented Mexican nationals. Assembly speaker Anthony Rendon wants the state to “step up and work with Mexico” instead of the U.S. federal government. Normally those who represent the interests of foreign governments are required to register as agents of those governments. Meanwhile, California has given driver’s licenses to more than one million illegals. The federal government should verify how many of that group show up to vote this fall. 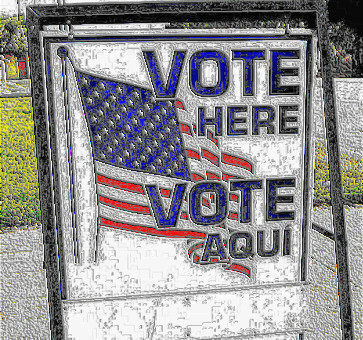 As a State Department investigation confirms, false documented illegals do vote repeatedly in federal, state, and local elections. Illegal voting is a serious crime and so is human trafficking. The false-documented “unaccompanied minors” who get $10 million in the budget are those whose parents chose to break up their own families and put their own children into the hands of criminal smugglers. California’s MOGO regime is okay with that and even rewards it. Back in 1987, governor George Deukmejian returned $1.1 billion directly to the people “to protect this money for the taxpayers.” California now has a budget surplus of $9 billion but governor Jerry Brown returns nothing to the people and ignores crumbling infrastructure and fathomless pension debt. The three-time presidential loser would rather spend taxpayers’ money to protect people who aren’t supposed to be here. "Alex Padilla refuses to release data from voter rolls"
US Marchals, Texas National Guard, and the Texas Rangers should be sent to arrest the governmentcritters infesting all offices in califoricatia.